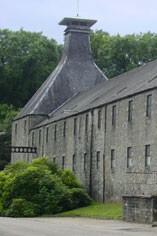 Mortlach was the first distillery to be built at Dufftown. However following it's purchase by J & J. Grant of Glen Grant it was used first as a church, and then as a brewery, before finally being restored to it's true purpose in life. A new distillery was built in 1964 but the exterior, including two different kinds of pagoda heads, has retained its look of a turn-of-the-century complex. The stills at Mortlach are unusual in that they are of different sizes and, although there are three of each type, they are not paired off. In the 1890s three stills were already in place and, in 1897, when capacity was doubled, this meant six individual stills, not three pairs. This has had to be maintained, as to do otherwise would probably have altered the character of the spirit. There is a rather complicated procedure of making different combinations of distillate from each of the stills and using two spirit safes. Mortlach is lightly peated but has extra depth and roundness. The aromas and flavour are smoky, spicy and rich with a dry edge to innate sweetness. 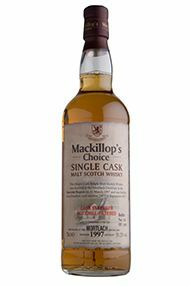 The official bottling is at 16 years and 43% vol.